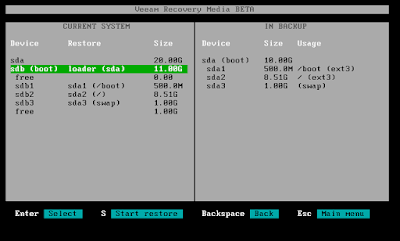 In our previous post, we had talk about backup linux workload using Veean agent for linux. 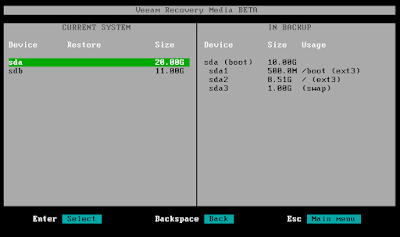 Next step is look into recovery to verify that the product is working as expected. 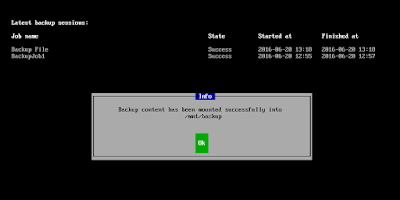 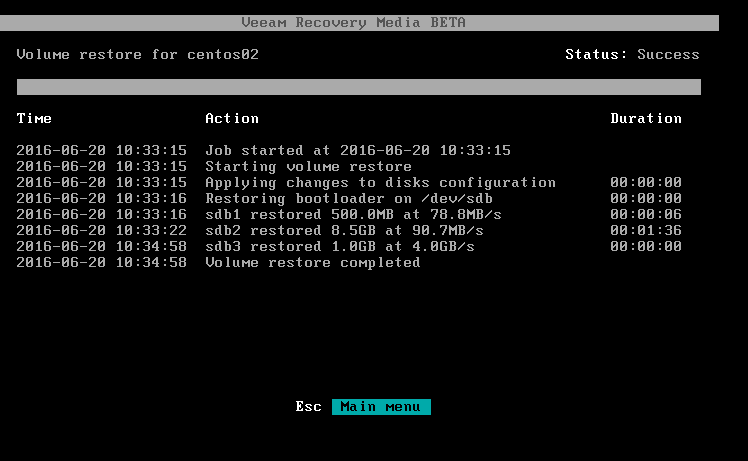 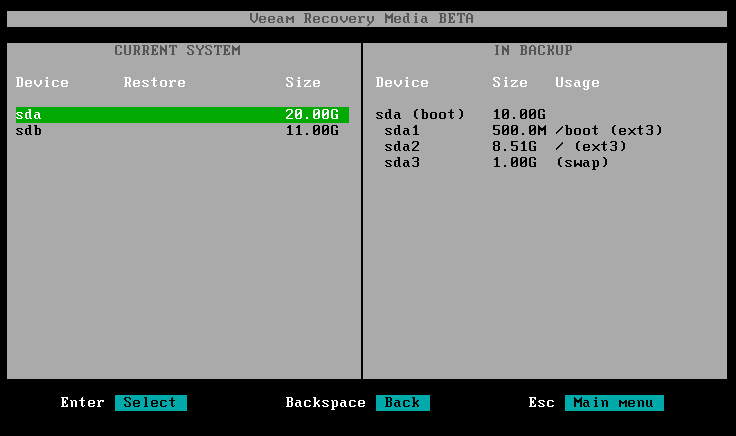 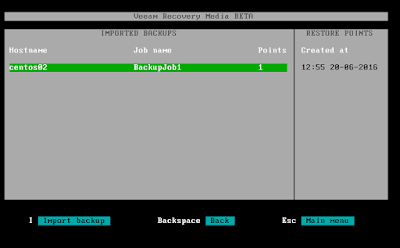 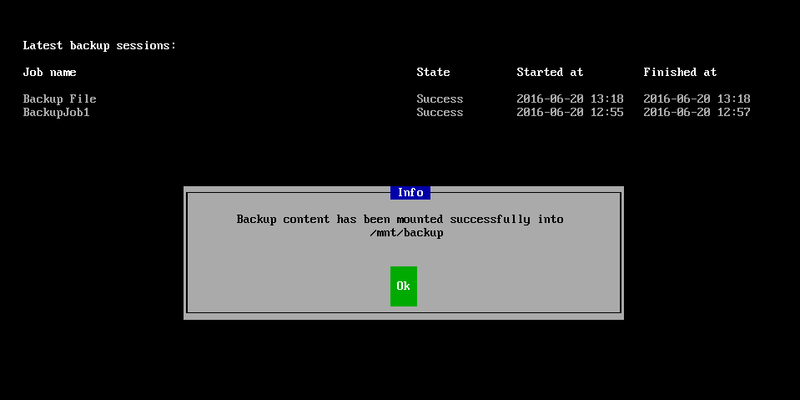 On the Veeam console, we are able to view successful backup job. 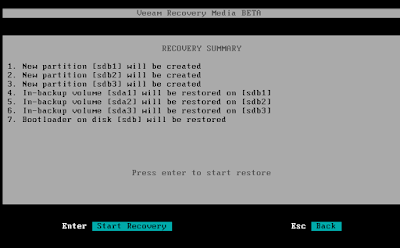 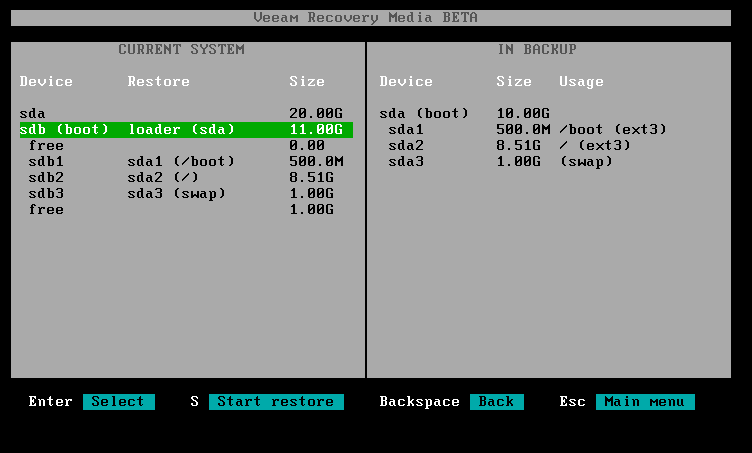 Press R to select recovery and select which backup job that you would like to recover. 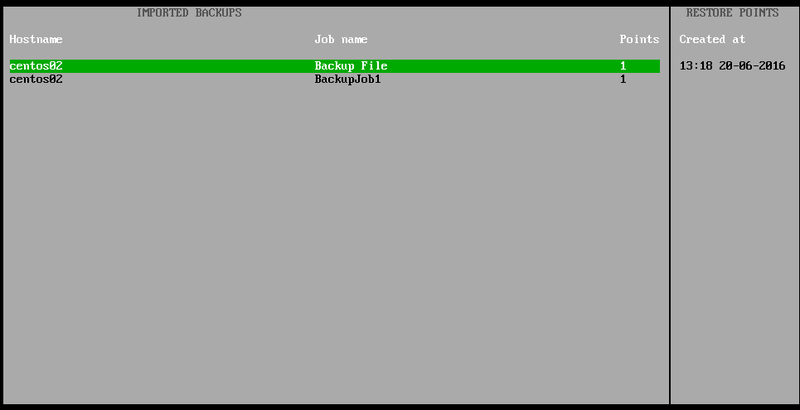 Use command line to navigate to /mnt/backup and copy files that you require. 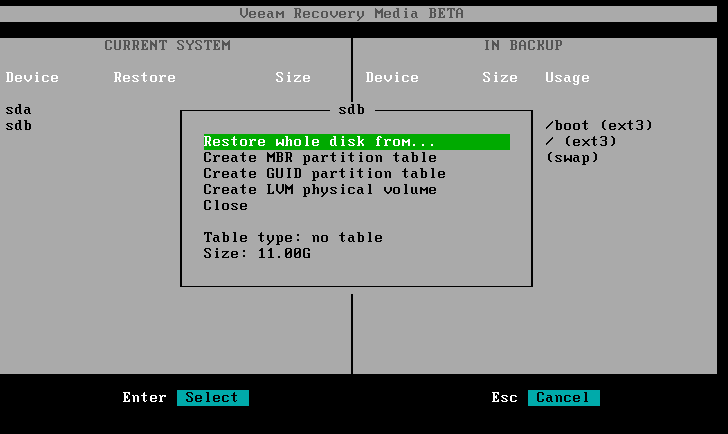 Once completed, you can unmount the backup data. 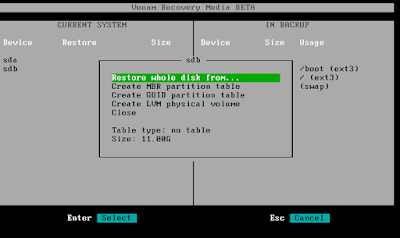 How about entire OS/disk corrupted? 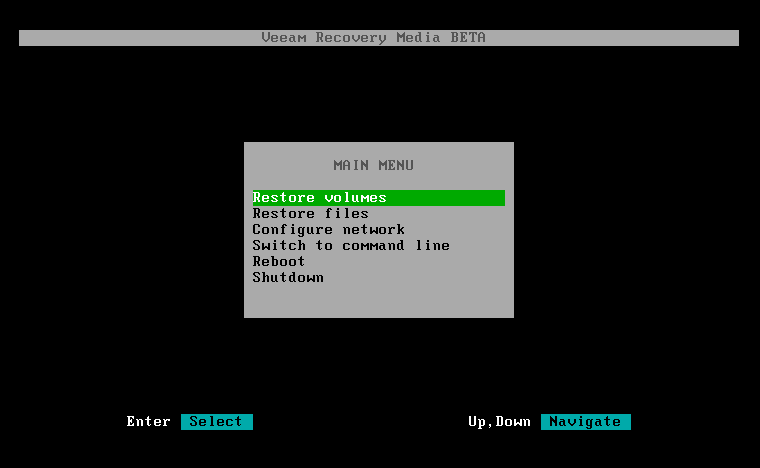 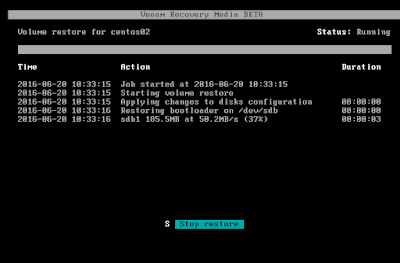 You can perform bare metal recovery. Just boot the recovery media iso and select "Restore volume"
After restore complete, reboot the system. 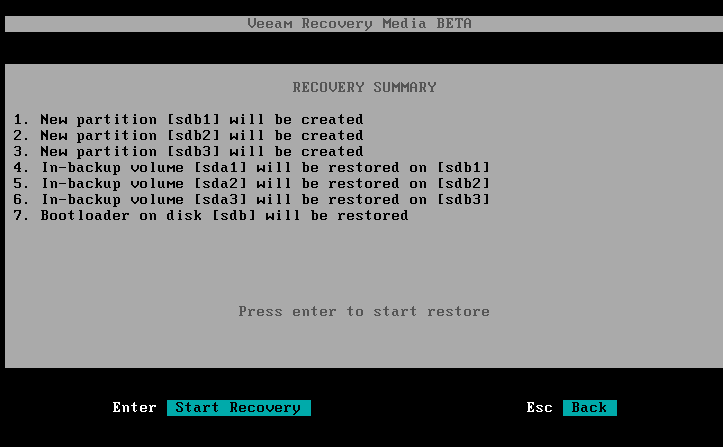 Your system is up and running as expected.